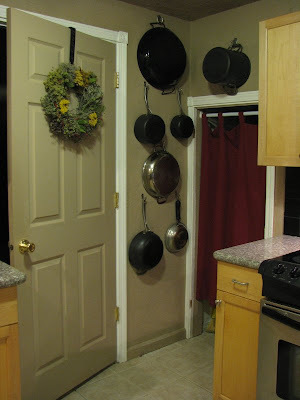 The pots finally got hung tonight. I love just having the curtain in front of the pantry. Removing that door freed up all the wall space for the pots so I don't have to get on top of the cabinets to get them any more. The wreath of herbs hanging on the door was a Christmas present from my brother and his wife - pretty, yes? 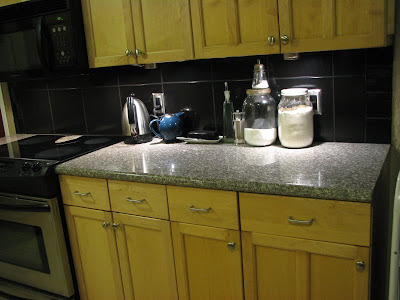 Knife blocks are gone. 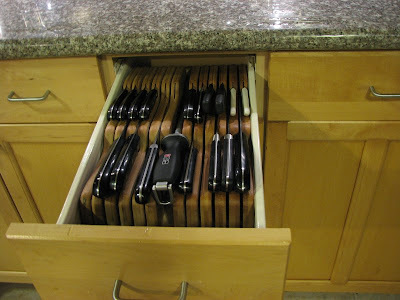 (See the knife drawer below.) 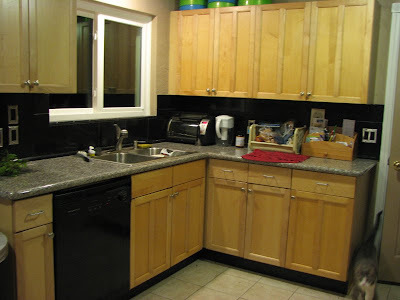 Isn't that vast empty counter great? I love it. It's like this drawer was made for two blocks, which exactly fit how many knives we had.